Greetings of the most high in this most wondrous moment of now. We come forth today to offer you some inspiration and insight regarding your individual Ascension trajectories, and we come forth to offer you great encouragement with regards to following the messages your intuition is fervently sending out to you during these times. Many of you will be noticing that collectively Gaia and her inhabitants have stepped into a whole new level of increased light quotient activity, and this is being dispensed from the living heart of galactic central. These light bombardments are being catalysed primarily by the M Class Solar Flares and Gaia's ever perpetuating alignment with the heart of the photon belt. We know that you are well versed in galactic upgrades by now, but still we sense some vulnerability and questioning from some of you with regards to the specific ailments your body consciousness is moving through and clearing right now. Beloveds this is an urgent call for you to find that place of residing calmness and serenity that lies at the core of your solar earthly matrix, that you may allow the complete and successful unravelling of these old/false/dark templates, that are now. in earnest being removed from your physical earthly vessels. Indeed these are intense times for many of you light workers, star seeds, and twin flames, as the various physical symptoms many of you are experiencing right now are creating a cause for some concern and worry from you. 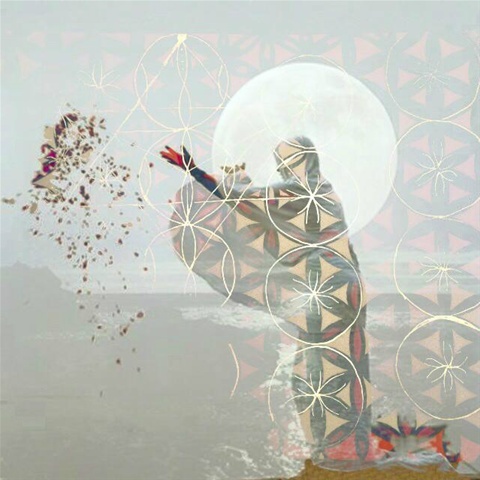 Beloveds it would serve you well to focus on the aspects of your physical systems that are functioning perfectly, at the moment and we encourage you to begin to place more of your attention on these aspects, as opposed to the parts of your physical body which are experiencing the unravelling of the false templates. During these times please remember that the universe resonates unequivocally to the frequency of health and well-being and this is your natural state…... During these heightened times of exponential light/solar activity it would serve you all well to remember that your body was designed to be able to perfectly remedy itself from any imbalance, and given the right mental conditions there is literally no thing that you cannot transform and bring back into profound perfection and alignment. Many of the symptoms you are experiencing at the moment can be likened to the physical system bringing up to the surface the hitherto unconscious misalignments and patterns that in many cases have been genetically inherited via your ancestral lineages and have been stored in the depths of your cellular memory banks, indeed it is a most fortuitous sign that you are in fact experiencing these symptoms, as they offer far more of a threat to the physical system if they lay numb, dormant, and predominantly within the realms of your unconscious. So dig deep within you now to find gratitude for all of the myriad of symptoms that you are experiencing right now, as they are very much symbolic of the old stagnant energy finally moving through and being cleared from your physical earthly vessels..
With regards to the illumined twin flame reunion trajectory our last article stated the necessity for you light workers to cease any/all addictive habits that you are still acting out on any level. Beloveds we are overjoyed to share that this message has got through very very deeply for many of you and you have indeed taken heed of our words of guidance with regards to this matter. Dear ones, this one action of ceasing the destructive habits is the greatest action that you each individually can take to ensure the imminent and triumphant reunion with your beloved twin flame. Please understand it is wholly inappropriate for twin flames to collude in any destructive patterns of behaviour on any level with each other, as the twin flame union template has decreed that whatever frequencies are activated in the union, will be magnified exponentially, therefore if you were to find yourself indulging in addictive patterns of behaviour with your twin flame, this would serve to actually create a huge barrier to the levels of connection and intimacy that are available to you within this Union. We hope that these words are clarifying and inspiring for you, for many of you, the levels of heightened consciousness that are available for you in your natural pure state far far exceed any highs that can be obtained via the use of external substances, and in fact the external substances from this point onwards will only serve to create a very real barrier with regards to the levels of intimacy and connection that are available to you and your twin flame. Therefore we urge you to find as many ways to support yourselves as possible with the complete ceasing of these destructive habits and that way, you will wholeheartedly be aligning with your highest Ascension timeline. We know these words are deeply resonant for many of you, and your intuition is correct….. the continuation of these habits are what are keeping you separate from your twin flame….. take strength, guidance and inspiration from these words…….. the energies of 2016 are filled with the most heightened experiences of bliss and connection that you could possibly conceive of, but the earthly conditions must be right in order to bring about the actualisation of these energetics. Your twin flame is calling you and praying for you in the depths of the night….. this is very real and these unions are now manifesting at an unprecedented rate….. Have faith in the love story of your heart, and please remember at all times that you are the author, the director, the producer, and the actor of the sacred script of your life. Our beloved channel receives an overwhelming number of emails confirming that these energy reports are serving you all in prophetic ways, as these energy reports have been specifically designed and orchestrated to reflect back to you your own higher self-consciousness…. Faith as ever is the key……. Trust in God's plan for you, and Align with the great empowerment that comes from knowing that your higher self has a profound inclination to bring about these unions in the most poetical ways. We are so excited for the times ahead…. 2016 is truly the year many twin flames will be reunited on all planes of consciousness…..
We know these words are deeply resonant…. especially the ones that speak of you drawing a line under any old destructive patterns and habits. Please know that this one action is enough for many of you to fully remove the smokescreen that has been preventing your earthly union with your twin flame. We very much look forward to hearing from you all about how this message has assisted you with your twin flame unions, we see your timelines ahead of you, and we can see you dancing and spinning in perfect unison with your beloved twin flame on all planes of consciousness. These times are exceptionally powerful and we remind you that it is always wholeheartedly appropriate for you to ask your higher self at any point to slow down or reduce any Ascension symptoms that you are experiencing. When you do this, you will find that your higher self responds immediately to this command. Indeed these are very intense times and Earth's frequency is set to experience another monumental upgrade at the time of the total solar eclipse~ around March 8th/9th….. by this point we urge you to be free of any and all addictive behaviours, that you may all Glide gracefully and triumphantly into the timelines of physical earthly marriage with your beloved twin flame. All is well beloveds……. please trust in the unfoldment of this great love story…... you have never ever been forsaken……. 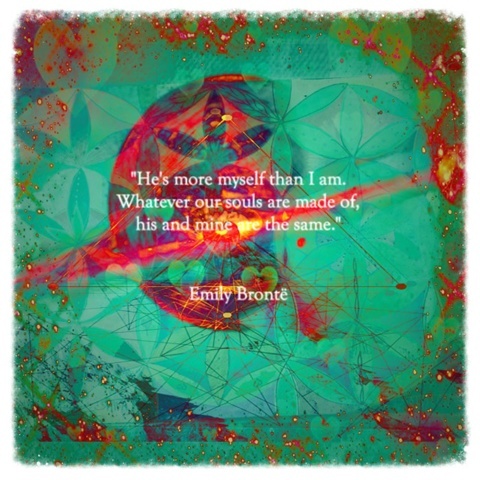 and the choice lies within you to remember how adored and protected you are by us in the higher realms…. You are all on track with your highest ascension timelines and for this we are overjoyed and overwhelmed with awe for each of you, and the impeccable mastery you are demonstrating during this pivotal and monumental time in gaia and humanities collective en masse Ascension…..
Greetings of the most high in this most joy filled moment of now. We come forth today to offer you some much needed reassurance from the higher more subtler planes of consciousness regarding your individual Ascension journeys and the full actualisation of your I am presence upon the early plane. Beloveds there is so much going on for you lightworkers starseeds and twin flames at the moment, indeed many of you have had reached a period in your timelines whereby the extrication of all that is not in alignment with your highest soul path and full becoming, is finally being addressed and cleared. Many many of you are going through what appear to be rather extreme physical misalignments at this time, and the reason for this is that you have all completed successfully the preliminary stages which have augmented the way for this next level of clearing of the physical system. Dear ones we wish to convey the necessity for you to stay calm and deeply trusting of your bodily wisdom during these times, and please know, and trust deeply that any physical symptoms you are experiencing at the moment are a direct reflection of the utter genius of your body consciousness to clear out all/any thoughts and emotions that are not in alignment with your highest destiny- which is to walk in a state of perfected physical and emotional health and well-being, that you may be empty and clear vessels to be carriers of the divine twin flame union template. We remind you again that this is no mean feat, as all of you who we speak to tonight, especially the illumined Blue Ray twin flames have chosen in your pre-birth state to take on vast amounts of dis functionality from within your ancestral lineage, that you may bring the much-needed light and recalibration into these family and karmic timelines. This is the reason many of you are experiencing such challenges with regards to your physical health and well-being at the moment, however we wish to remind you that the symptoms you are experiencing are in fact a wonderful sign, and are indicative of your body wisdom doing everything it needs to do, to bring order and clarity back unto all aspects of your consciousness. Therefore we urge you, and remind you to dig deep to find gratitude for these symptoms that your physical body is displaying at the moment. As we mentioned in our last article, Gaia is on the verge of another huge monumental upgrade around the time of the solar eclipse in March, the energies that are currently bombarding Gaia are filled with an intensity that is sending even many of you seasoned lightworkers into a state of overwhelm on some level. You are not alone in what you are experiencing, we can assure you of that…. If you are experiencing certain ailments and nuances within your physical systems at the moment, please know that you are on the frontline of these vast and significant changes which this next upgrade is bringing forth. Smile beloveds, for these energetics are specifically what you have called in, to bring about your full alignment with the greatest levels of well-being you have ever known, and full and complete marriage and merge with your beloved twin flame on all levels of consciousness. We understand from your perspective that it appears that there has been none or little changes within your timelines with regards to your full physical unification with your twin flame, but we would like to remind you that when a seed is planted for a great deal of the time all of the changes to its cellular structure and full becoming, are taking place behind-the-scenes so to speak….. underground so to speak……. this analogy would serve you all well to remember, as this current period in your Ascension journey is specifically working on assisting you to clear out many of the final residues which are the energetic blocks that have prevented your full unification with your beloved twin flame……...that you may be the empty vessels, clear and lucid enough to midwife this most important love story back unto humanities keeping. This love story that we speak of, the one that your heart is so deeply familiar with, has been buried in your own Higher Heart consciousness, much like the seed that we speak of, and has been designed and orchestrated to bear fruit at a particular time on your individual Ascension journey. If it feels like it is taking a long time then beloveds, we urge you to remember ,that in truth time does not exist, and the idea of time is a concept that only your 3D consciousness is attached to. The unconditional love and sacred union of you and your beloved twin flame is eternally taking place on the higher and more subtler planes, and as such is very much alive and activated beyond your 3D consciousness. It would serve you well to place your unwavering faith and attention upon this place, that you may reap the exquisite rewards that aligning your consciousness with this energetic space brings. If you can feel it in your heart and know it to be real within your imaginal faculties, then we tell you with 100% conviction that it is real, and it is yours. If you can imagine something then we wholeheartedly remind you that it is a living reality on the higher planes of consciousness. We know these words are deeply deeply resonant for many of you, and we are overjoyed to be of service to you all in this moment. We have come forth to offer you profound encouragement on this ever expanding journey into your God Self/I am presence, and we have come forth to remind you of how precious you are to us on the higher planes of reality. You are all so brave, and in truth whilst your soul is clothed in these temporary earthly suits, you will never truly grasp how truthful these words are. Your greatest challenge on this path is your egoic mind and it’s constant questioning and belittling of you and your spiritual identity and mission. Beloveds cast this aside now, and become masterful around your monkey mind,and be like the tiger, ever vigilant and alert and ready to pounce on any and all negative/dark thoughts which seek to be believed by you. Who you are is an empty clear vessel ready and willing to be the receiver of God's infinite grace and love. Who you are is the alpha and the omega, the beginning and there really is no end. You are the place where all of duality ends…. You are the sacred bridges connecting 3D consciousness to the eternal 5D consciousness realms and above. Please for one moment allow yourselves to receive these sacred words that they may ever remind you of the infinite intelligence and grace that you all Carry. You are more adored than you could ever possibly comprehend with your 3D mind, and we your guides stand ever waiting, willing and able to serve you in the most significant ways. Take a deep cleansing breath now, breathing in the serenity of this higher self message as a beautiful golden light filling up your physical earthly vessel at the deepest cellular level. Rest deeply beloveds all is well. You are all on track to 100% optimum physical health and well-being, and reunion with the highest consort of your soul. The symptoms you are currently experiencing in your physical bodies are serving you in incomprehensible ways, and we invite you to extend a deep reverence and gratitude towards your bodily wisdom, as it knows exactly what it is doing, and understands perfectly how to assist you in readying yourself on all levels that you may receive this God ordained mighty love that reunion with your beloved twin flame promises to bring. We love you and are eternally available to support you in all ways. You are not alone and you have never ever been. In profound Love and service.